Doctors Without Borders is an international organization made up of mainly doctors and people that work in the health care industry. They are typically the first responding medical aid after disasters strike. Doctors Without Borders was founded in France in December of 1971 and followed the belief that everyone deserved the right to healthcare no matter their race, gender, religion, or political affiliations. Since their founding they have grown to have twenty-four offices around the world, including one in the United States. To learn more about Doctors Without Borders please follow the link to their website below and check out their video below as well!! Feed My Starving Children is a Christian non-profit organization that works to feed starving children all over the world. This is done through both raising money and volunteering to package foods at their permanent locations in Minnesota, Arizona, and Illinois. Their mission is to, "Feed God's starving children in body and spirit." They primarily work to gather and package the foods in meal proportions while they work with other distribution organizations to get these meals out to the families and areas in need. Please watch the video below to learn more about Feed My Starving Children and follow the link below as well to learn more about the interworking of the organization and how you can get involved. 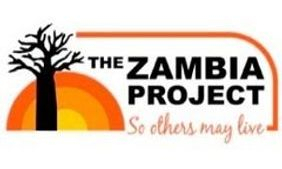 The Zambia Project was started in 1963 by Brother John Bond. Their vision is to, "establish a Christ-centred church within walking distance of every person in the Western Province and to see all villages impacted by the Gospel and uplifted through a strong Christian community." To learn more about this amazing organization please follow the link to their website below and view the video below as well!